Boulevard Chauffeur offers luxury airport limo service and transportation for passengers arriving at or departing from the Austin Bergstrom International Airport. Leave all of your ground transportation needs in the hands of one of our experienced drivers. We know that getting to and from the Austin airport can be hectic. As one of the most visited cities in the nation, Austin has significant traffic at the airport. At Boulevard Chauffeur, we will ensure that you do not experience stress or delays due to airport traffic. Let our limo service provide you with a luxurious and stress-free way to arrive and depart from the Austin airport. For guests who are departing from the Austin Bergstrom International Airport, Boulevard Chauffeur will ensure that you arrive to the airport on time and in style. We offer a luxurious, stress-free way to get to the airport before your flight without any of the hassle of airport traffic or securing parking for your vehicle. For guests who are landing at the Austin Bergstrom International Airport, we will meet you as close to your gate as possible and assist you with your luggage. Our focus is on ensuring that you are provided with a comfortable, stress-free airport transportation experience. Boulevard Chauffeur is your Austin airport transportation expert. 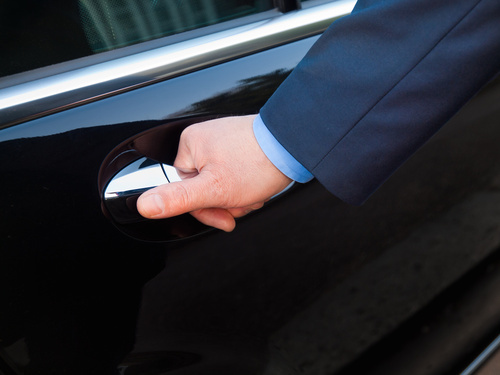 Every member of our team has years of experience providing luxury airport transportation services to our guests. We know the best way to navigate the routes to and around the airport. Our drivers are highly experienced with airport drop-offs and pick-ups and will ensure that your airport transportation is stress free. Arrive at the airport relaxed and ready for travel. We look forward to helping you with all of your airport transportation needs. Contact the team at Boulevard Chauffeur to get more information or to reserve your private limo services for arrival at or departure from the Austin airport.